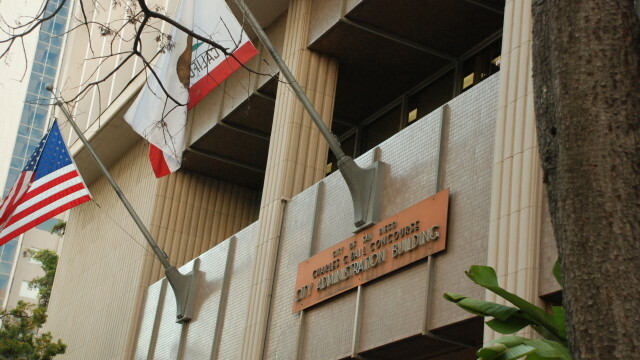 The San Diego City Council voted unanimously Monday to fix a vaguely worded law requiring anyone doing business with the city to disclose their identities. The action follows an inewsource investigation that began 16 months ago that showed the law was being ignored. 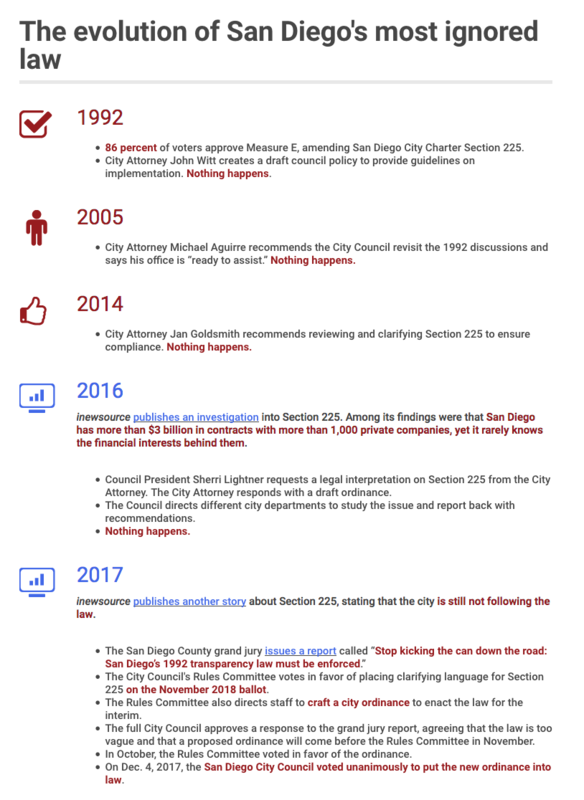 The ordinance the council approved clarifies a decades-old law known as “Mandatory Disclosure of Business Interests,” or Section 225 of the San Diego City Charter. That law came about in 1992 after the city almost entered into a $47 million real estate deal with an alleged mobster. An inewsource investigation last year found that despite Section 225, the city has more than $3 billion in contracts with more than 1,000 private companies, yet rarely knows the financial interests behind them. The original wording for the law was vague and never defined “transaction” or “directly or indirectly involved.” It also never said how to establish “identity” or elaborated on what the term “precise interest” meant. Monday’s vote further defines those terms through an ordinance. It does not change the city charter — that requires a public vote, scheduled for 2018. Once that vote happens, the ordinance approved Monday will be dissolved and superseded by the charter.